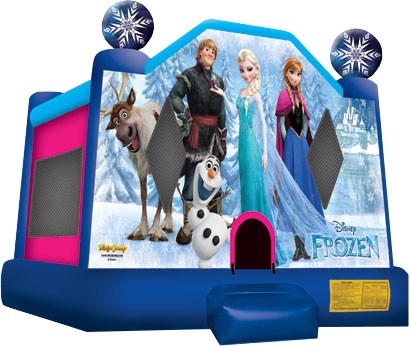 Do you need a bounce house to complement a Frozen theme party?, with this beautiful and bright Frozen bounce house, that pictures all the characters from the movie, you will make your little princess, have an unforgettable party... this is one of our line of girly bounce house rentals, that you can add to any other inflatable rentals for the perfect Frozen party. 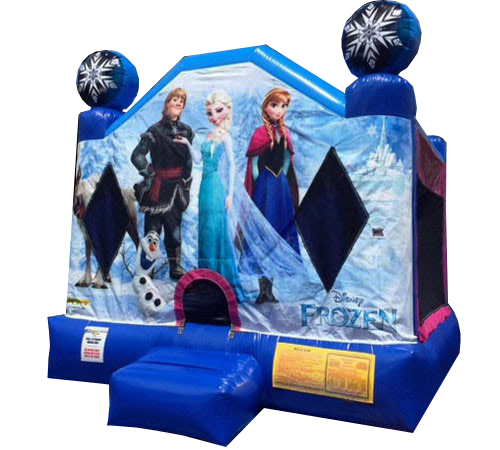 We also offer this Frozen bouncy castle on our inflatable package deal as the Frozen party package. Want to see a video of this beautiful Frozen bounce house?